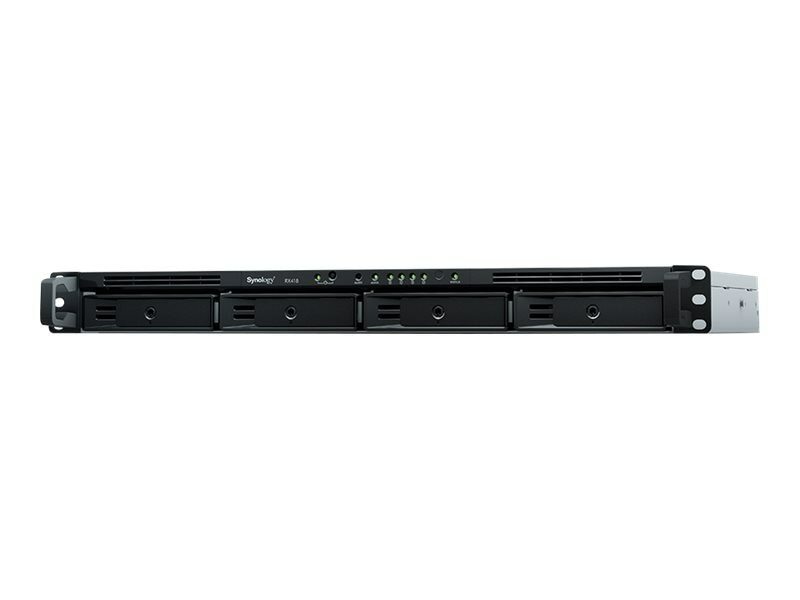 When the storage capacity on Synology RackStation reaches its limit, the Synology RX418 4-bay 1U Rackmount Expansion Unit for 1U RackStation provides easy capacity expansion by adding SATA drives to the system. The Synology RX418 can also be used as a dedicated local backup destination of Synology RackStation for comprehensive data protection. Simply connect Synology RX418 to corresponding Synology RackStation and it is ready to use. Drives in the connected Synology RX418 operate as though they were internal to the connected Synology NAS and can be managed directly by Synology DiskStation Manager (DSM), with no additional software installation required. Synology DSM provides an intuitive user interface for easy system management. Drive hibernation can be configured in DSM to take effect automatically when the system has been inactive for a period of time. This not only saves energy but also extends the lifespan of the installed drives.